Despite the mystique attributed to them, alternative investments are not much more complicated from “mainstream” investments. Traditionally, the three main asset classes have always been stocks, bonds and cash. Stocks have taken two major hits over the past decade: The crash of 2001 and the crash of 2008. The 2008 crash was far worse than the 2001 crash. The other asset classes, bonds and cash have done poorly since 2000 as well. A strong desire for safety among investors has led to the lowest bond yields in decades. Short-term Treasury bills are even trading at negative yields. Long-term and short-term investors are perplexed as to the right decisions. Organizing potential investments by asset class can relieve the solution and diversification is key. The idea is that an investor who invests his money across a broad segment of asset classes will survive tough times and thrive in good times. Alternative investments, then are asset classes that don’t fall under the traditional assets of stocks, bonds or cash. Asset classes are different from sectors of the stock market or the economy. Alternative investments include real estate, commodities, hedge funds and foreign currencies. 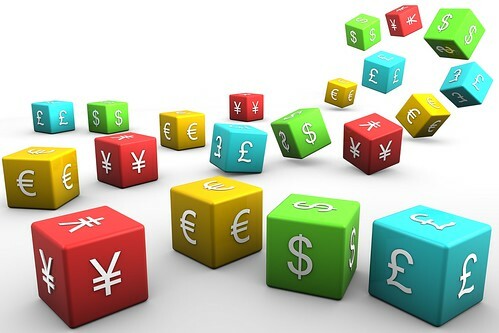 The foreign exchange (forex) market is the largest and most liquid market in the world. Trillions of U.S. dollars’ worth of currencies flow in and out of the market on a daily basis. Fortunately for investors, getting involved in this market has never been easier. FOREX investing provides both protection from domestic currency debasement and an opportunity to make solid profits. The easiest way to get involved is the vaunted carry trade in which an investor sells one currency with low interest rates and buys one with high interest rates, thus earning the difference between them. Investors can add currency-based exchange-traded funds (ETFs) to their portfolio to profit from movements in foreign currencies against the U.S. dollar. Some ETFs also attempt to leverage their own carry trades to earn greater profits. Alternatively, investors can choose an ETF that is either short or long the dollar (depending on their own outlook and preference). Foreign currencies can also suddenly fall relative to the dollar resulting in losses. When the dollar is weak, it presents an opportunity for investors to buy low on one of the strongest currencies in history. Real estate investment trusts (REITs) made it much easier for small investors to own this valuable asset class. Real estate has a low correlation to stocks and bonds. Additionally, owning real estate gives an investor a solid stream of income and protection from inflation. Owning real estate or having a mortgage was a great deal in the 1970s. Every year the mortgage was worth less while the property was worth more. Current real estate rates are close to historic lows and could present a good investment opportunity. Hedge funds have received plenty of scorn for their supposed role in the financial crisis. The truth is hedge funds are growing in popularity as an alternative asset class. Hedge funds can achieve phenomenal returns compared to stocks, bonds, cash, foreign currencies, and real estate. The downside is high fees and relative illiquidity. Hedge funds can provide fantastic diversification benefits, but they are not for every investor’s portfolio. The cream of the crop when it comes to alternative investments is commodities. They are perhaps the best way to diversify a portfolio. Precious metals, foodstuffs, and industrial materials trade around the world. The easiest way to invest in commodities is trading futures contracts but the average investor may stay away from this investment tactic. Buying foreign currencies is much easier than buying commodities. The advantage of this asset class is low correlation and protection from inflation. Gold, in particular, has a history of protecting against both inflation and deflation. Tal Baron writes for Currensee, a FOREX trading social network where investors can explore foreign currency investment options.